Eva & Laura get married in New Orleans with an intimate courtyard ceremony in the Garden District. Live oaks provide the perfect canopy for the blissful union, red bricks under six sets of feet, passersby beyond the fence clueless to the magic happening on the other side of the gray door. Family Portrait Sessions in the Big Easy! Folks, I offer family sessions! Ashlei Wells well dressed in the french quarter soaking up the sun after a rainy day with a surprise photoshoot from her boyfriend back home! Ashlei Wells is a fashion blogger (wellsdressed.com) and professional buyer for department stores. Jaketa suprises Aushanada with a photoshoot at Crescent City Park on a beautiful summer day. You can always go back and make that magic happen over and over again! Sometimes you find yourself touring around the US with your soulmate and decide to show the world you're engaged with a spur of the moment photoshoot in the French Quarter. I'm not the only one who thinks New Orleans is one of the best cities in the US, it didn't take long for the charm to work it's way into the hearts of this cute couple. Their small town in Germany is pretty different that this vibrant, magical, place! It was so fun capturing these cuties on their adventure! 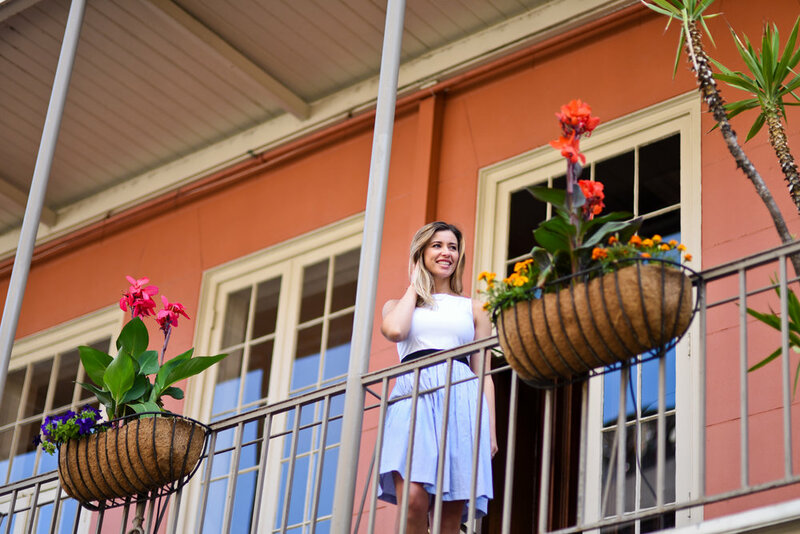 This cutie has a blog of her own so we worked together to capture her New Orleans experience! Pure sugar, this sweet lady was a pleasure to work with from beignets to bourbon. “America has only three cities: New York, San Francisco, and New Orleans. 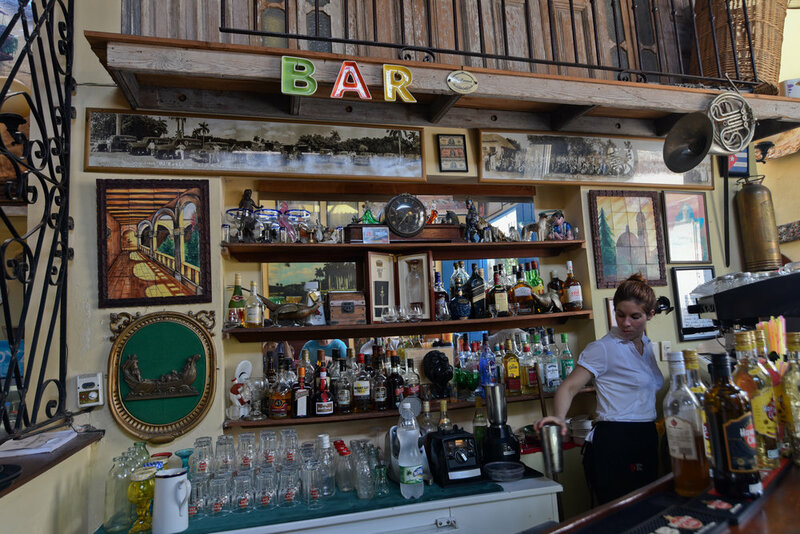 Julia and Joe share a romantic getaway, briefly escaping the northern cold, in New Orleans. Romance flirts with the jazz music in the french quarter this spring as Danny and Danielle celebrate their engagement. To say that Cuba wasn’t what I expected would be an understatement. I went from humid New Orleans, to a place I wasn’t sure I’d get an opportunity to visit again. My usual travel style would involve climbing off the plane and looking for whatever bus would take me into town, but no ma’am, not in Cuba. That’s just not really a thing… so instead with a comparable price to an Uber ride airport to hotel in the US, I looked for the man holding my name on a sign. I did some research and it seemed like the easiest way to go (the cost about 30$.) Daniel was the most entertaining Taxi driver I've ever had and the best way to break in my first hour in Cuba. He was patient while I warmed back into my spanish and before the trip was over he was playing his favorite Cuban songs sing along style. Cuba feels like an incredibly divided place. 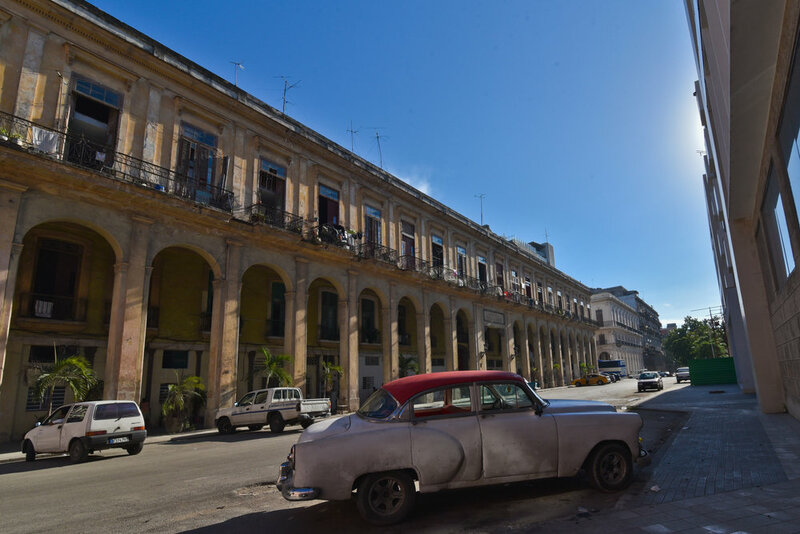 There’s tourist Cuba and then there’s the cuban people’s cuba. I felt like the two currencies intentionally helped keep that division. Tourists pay more for everything. Where a surgeon makes 40$ a month your taxi ride from the airport is 30$. Where a server might make 10-15$ a month your meal might cost 10$. 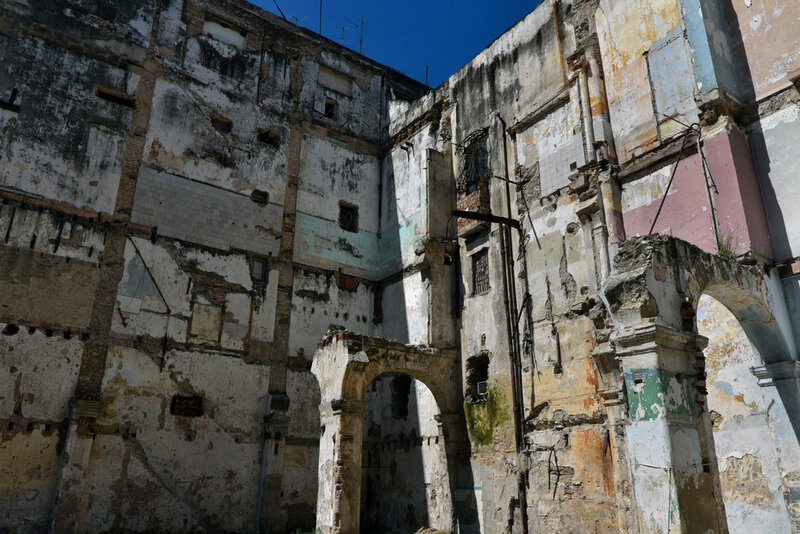 I tried to break into the other side where I could but felt kept from experiencing Cuba how I would have liked to. 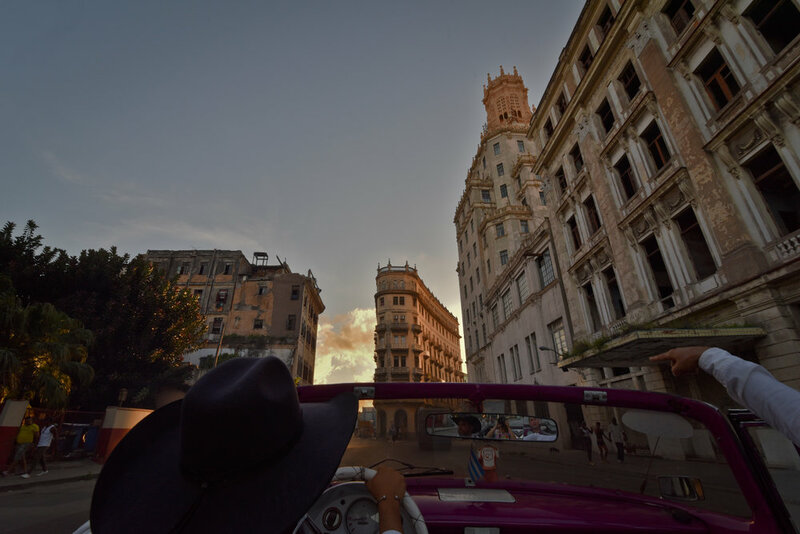 One day, Daniel and I passed by the theaters in Havana. They were having a horror film festival and that very night The Shining was playing… La resplandor! We returned and tried to go in but they wouldn’t take our money even though it was worth more. The younger gent behind us payed the .20 cents for us to go in and also refused our money. My first and last days were my favorite. They were spent taking small risks with locals. On the first day I ended up in Sergio’s house with his 12 year old sister who was watching MTV’s real world on a yellowed TV screen as he fried me up a piece of ham with some rice. Best meal of my whole trip. The only thing he wanted in return was a promise to go salsa dancing that night. Daniel and I did indeed go and hilarity ensued. It ended up being this weird trio where everyone felt like a third wheel at some point. Sergio also, cheerily declared his feelings for me… and to say there has been no connection was an understatement. It was all a game. I responded with the cheesiest phrases I could think of relating to 'mi corazon' and how it just wasn’t meant to be, lo siento! The last days were spent salsa dancing or on the Malecon with Javier and his adorable nose pierced crew. 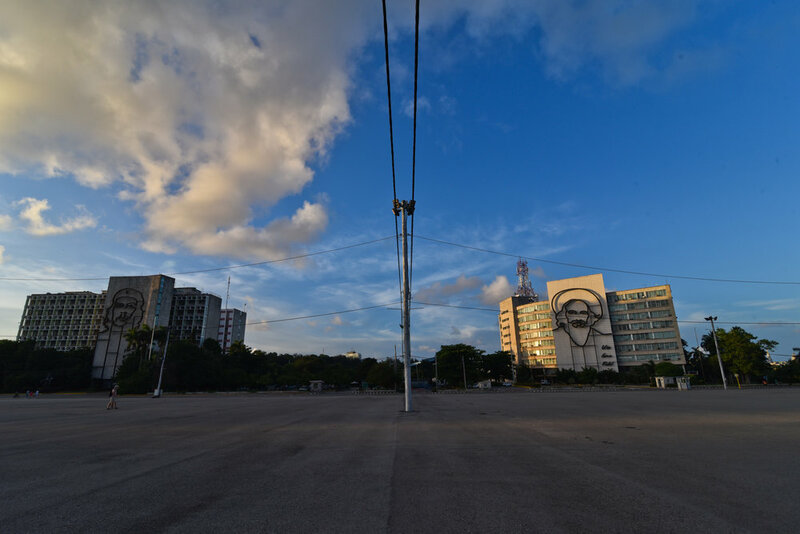 (The Malecon is the part of havana that meets the ocean, also known as, the worlds largest couch… this is where everyone spends their free time.) The sunsets last for what feels like hours there. If you want to go to Cuba but feel like you’re in a posh New York warehouse club check out Fabrica De Arte. If you want to bring back some art check out the amazing screen print work happening or find a weird Cuban movie poster. There are lots of possibilities but be prepared to spend some money while you're there. Daniel and I also took a day trip to Vinales. The trip involved about 7 hours in a beautiful old car as we drove across the country with two other Americanos. I think Vinales is a great trip if you have a night or two to spend. You can see some beautiful mountains, slow down a little, boogie down in a nightclub that's in a cave, boat through a different cave, and smoke cigars that are rolled right before your eyes. What better way to spend a holiday in a new place than with a creative house equipped with open arms, lots of great food, and company? Mardi Gras Madness - Crawfish, Costumes, and Chaos. The Mardi Gras gods said "Let there be wild costumes, let there be crawfish a plenty, and let there be boogie feet dancing!" And there were...! Feels Good to be Home Sweet Home ~ Nola! Hello fans, friends, and curious onlookers! I’ve spent the better part of three years traveling around the world and my goodness does it feel good to be home! There’s no place like New Orleans and so this is where I’ve decided to set up shop. While I set up my life in the big easy this website will be my photography’s home. The page still has some kinks to work out but I wanted to get it up and running as soon as possible. Stay awhile. Check out some work. Drop a line.